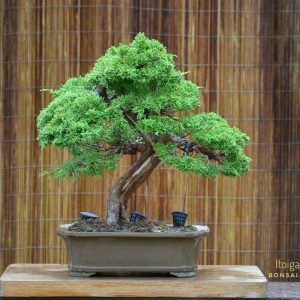 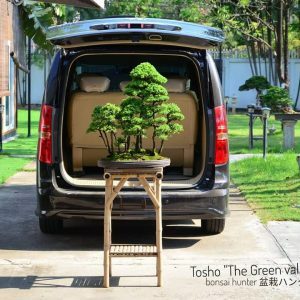 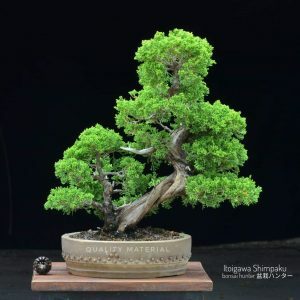 A special forest style grown on a single root( rafted) an old Tosho tree. 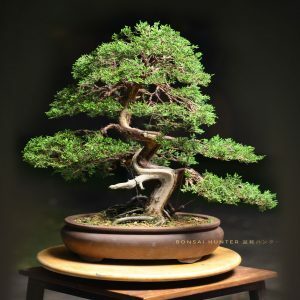 Creat a wonderful art implied the long history of love and care from the Japanese in Kansai region. 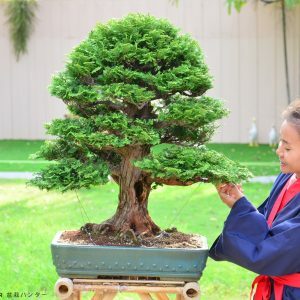 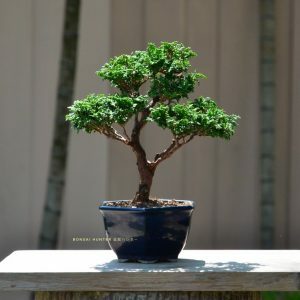 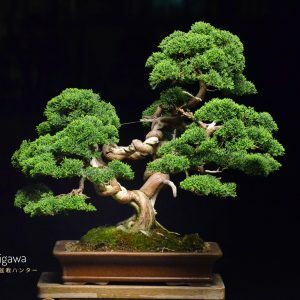 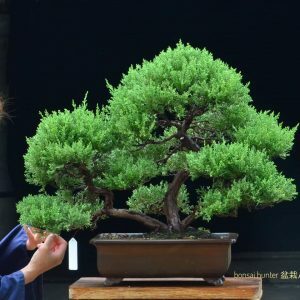 A 100 years Tosho tree with unique deadwood implies long tree history which have been through a tough nature. 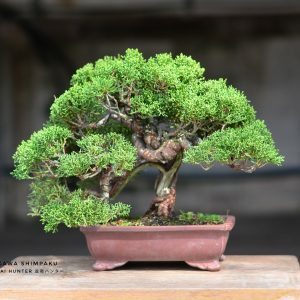 needle leaves maintain Tosho special charactor differentiate from. 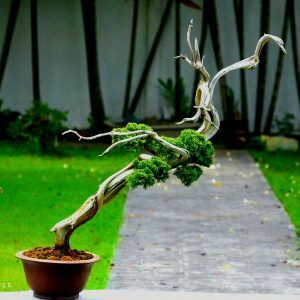 Other species. 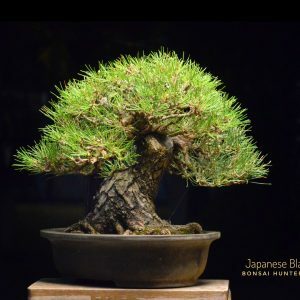 An 80 years old Black pine tree with stunning thick body indicates of long age through a touch nature. 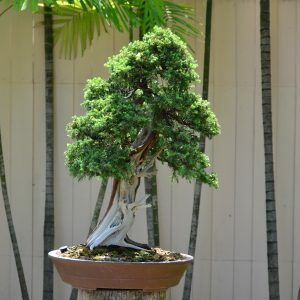 Rough skin shows hardness of the tree while curving body show unique tree charactor.